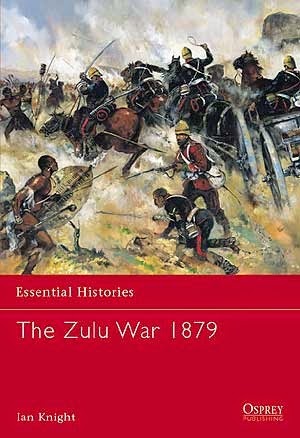 My Anglo Zulu War book library for wargaming consists of the following titles this is not an exhaustive library is just some of my favourites on the subject. The battle of Isandlwana fought on 22 January 1879 was the greatest defeat suffered by the British Army during the Victorian era. A Zulu army of 24,000 warriors had moved undetected to within striking distance of the British camp in the shadow of Isandlwana Mountain. From the start the 1,700 defenders underestimated the danger descending upon them. They were swept aside with horrifying speed and the final stage of the battle consisted of desperate hand-to-hand fighting amid the British camp. Over 1,300 men were killed; scarcely 60 Europeans survived. Ian Knight employs new archaeological and historical research to provide a completely new interpretation of the course of the battle. In the late 1870s the British Imperial administration in the Cape colony in southern Africa began to view the Zulu kingdom as a challenge to its authority.To contain this perceived threat, the British engineered a war. The early campaigns went terribly wrong, with the decisive Zulu victory at Isandlwana. Ultimately however, the British won the war. The Zulus, primarily reliant on their skill with the stabbing spear, had no real defence or retaliation against the massed firepower of professional British soldiers. Ian Castle examines the British-Zulu war and its two key battles, Isandlwana and Khambula, with excellent black and white photographs accompanying the clear and detailed text. On 4 March, 1878 at King William's Town, British Kaffraria, Gen. Sir Arthur Cunnynghame handed over supreme command of the British forces in southern Africa to his successor, Lt. Gen. Sir Frederic Thesiger. The High Commissioner, Sir Henry Bartle Frere, was convinced that one solution to the complex problems which beset the region was to overthrow the last powerful independent black kingdom bordering British possessions - the Zulu kingdom of King Cetshwayo KaMapande. However Cetshwayo had remained on the political defensive. 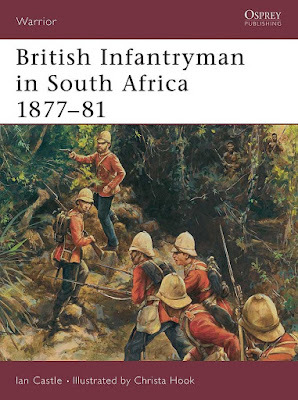 This book describes the uniforms and equipment of the forces that Thesiger led across the border to wage war in Zululand. 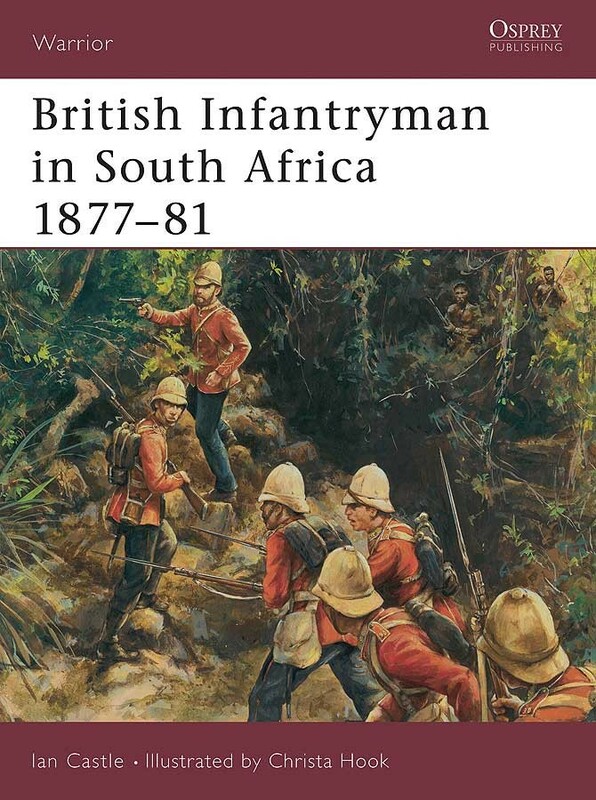 Mention of the Zulu War of 1879 inevitably conjures up images of the redcoats at Isandlwana and Rorke's Drift; it is often forgotten that the limited number of Imperial troops available led to the raising of several thousand local troops from Natal, Cape Colony and beyond. Typified by hard-riding white frontiersmen and lightly armed African infantry, these units made up for the British Army's severe shortage of cavalry scouts and local knowledge. Ian Castle's concise study of their organisation, uniforms, weapons, and campaign service covers a far wider range of units than ever previously published; it is illustrated with rare photographs and vivid colour plates. For many people the epitome of the British soldier of the late Victorian period is the Redcoat who fought in southern Africa in the 1870s. 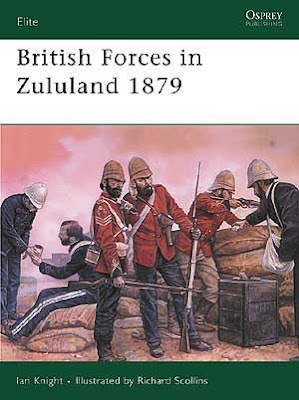 This title covers the key period of the wars against the Zulu and Boers; the dramatic battles of Rorke's Drift, Isandlwana, Ulundi, Laing's Nek and Majuba are some of the most famous engagements in the history of the British Army. The journey of the British soldier from the back streets of Britain's inner cities, to the isolated rock outcrop of Isandlwana and the mountain top of Majuba is one of discipline, devotion, loyalty, bravery, determination and sheer hard-work. It is a journey from which many men never returned. 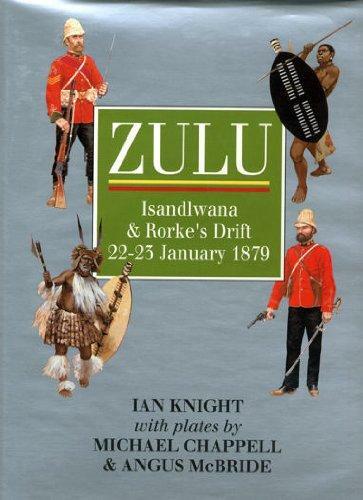 The Anglo Zulu War continues to attract phenomenal interest. What was meant to be a quick punitive expedition led by Lord Chelmsford turned into a watershed for British Colonial power. 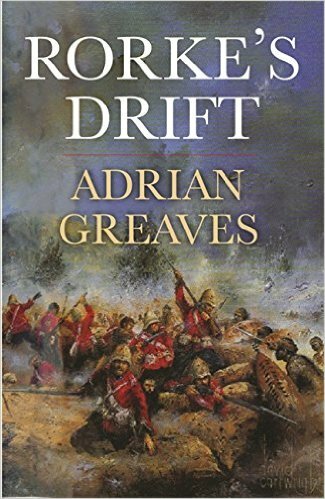 The ignominious defeat at Isandlwana was a terrible blow to British military pride but the heroic stand at Rorke's Drift, while a minor event by comparison, allowed the powers-that-be to salvage some honour. This authoritative book covers all the main players, be they military, political or civilian, with concise yet readable individual entries. In addition to the military commanders on both sides, we have the VC winners, those at Rorke's Drift and survivors of the massacre. Individuals such as The Crown Prince Imperial whose actions made an impact all have entries. 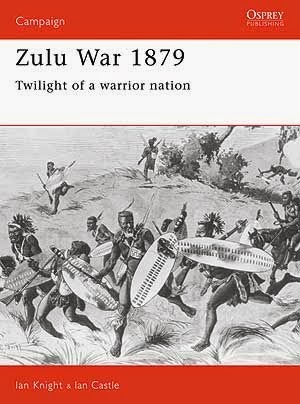 The Anglo-Zulu War of 1879 has a character that inspires and fascinates readers and increasing numbers of visitors to South Africa. The two volume biographical dictionary of the participants is a unique venture and this second volume reveals much about the formidable Zulu nation which so nearly humbled the mighty British Empire which had provoked the conflict. 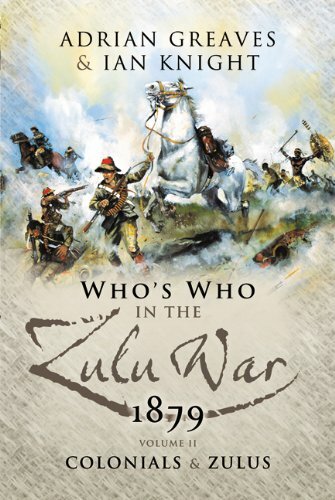 Thanks to the deep knowledge and research abilities of the two authors this fascinating book provides detail on both the leaders of the Zulu armies, which totalled some 40,000 warriors. We learn of the terrible price paid by this proud nation not just from the defeat by the British but in the civil war of 1883 brought about as a result of the internal tensions unleashed by the Zulu War. The role of the Colonials, be they British settlers, Boer or non-Zulu Africans is also examined through highly informative entries on the main personalities. This is an account of one of the most dramatic episodes in 19th century military history, which continues to exert a unique fascination. On 22nd January 1879 the British military camp at Isandlwana, South Africa, was annihilated by about 20,000 Zulu warriors. Some 1200 troops died under the Zulu spears, half of them British regular infantry of the 24th Foot armed with modern breech-loading rifles. 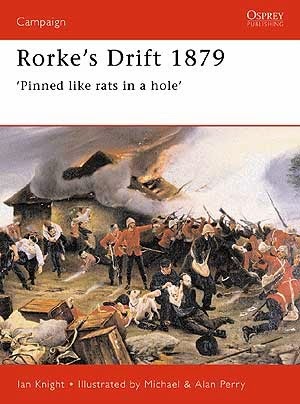 This battle was partly redeemed that evening at the tiny hospital and supply post of Rorke's Drift, successfully held in hand-to-hand fighting against thousands of Zulus by some 140 defenders, only 80 of them able bodied redcoats. This book provides details of the fighting men of both armies and of their bloody meeting, drawing upon the author's local research, several examinations of the battlefield and aerial photographs. 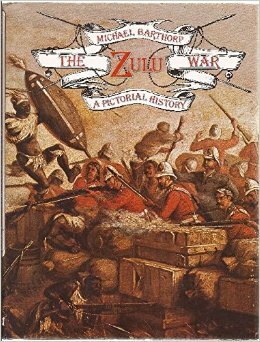 When this book first appeared and arguably still today it was without doubt the best researched and most detailed account of this most famous of all Anglo-Zulu War battles. Although its large format and profusely illustrated style suggest it is a picture-book, the text provides a very detailed analysis of the battle. With chapter titles like Dramatis Personae, Action! and Awards and Sequels, it is clear that author Ian Knight is acknowledging his own debt to the film Zulu, which sparked his interest, but in fact the book draws a fairly gritty distinction between the mythology and reality. After a fairly brief summary of the background to the battle, it plunges us into the personalities involved and into a detailed description of the fighting, based entirely on first-hand accounts. 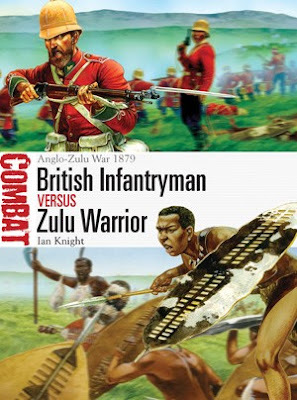 As usual with Ian's work, there is a careful look at the Zulu perspective and indeed ones perception of the battle begins to change with some understanding of just how difficult a position it was to assault. 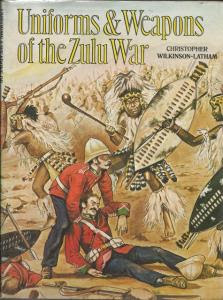 The last chapters draw out the contrast between British and Zulu reactions to the battle while the British garrison was feted at home, the Zulu warriors went home to the derision of their families, who scoffed at them for the high price they had paid in an unnecessary attack and touches upon the question of whether the British awards were inspired by a propaganda need to exaggerate the victory at Rorke's Drift to offset the losses at Isandlwana. This has become a fashionable theme in more recent works, but Ian was one of the first to explore it, and his conclusion that they probably were, but that this does not detract from the bravery of the men involved remains valid. 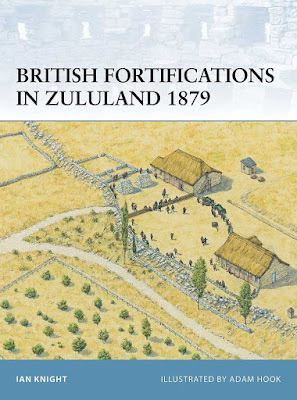 It has to be said, too, that the book contains an excellent range of illustrations, chosen with some care to reveal the true appearance of the members of the garrison and the Zulus alike, and to illustrate key features on the battlefield and surviving artefact's from the action. This is still an essential read on the subject. Ian promises that his new book on the subject Rorke's Drift; The True Story (due out Xmas 2006 or early 2007) will consider many of these themes in greater detail, and on the strength of this it will be well worth the wait. On 22nd January 1879 a force of 20,000 Zulus overwhelmed and destroyed the British invading force at Isandlwana, killing and ritually disemboweling over 1200 troops. That afternoon, the same Zulu force turned their attention on a small outpost at Rorke's Drift. The battle that ensued, one of the British Army¿s great epics, has since entered into legend. Throughout the night 85 men held off six full-scale Zulu attacks at the cost of only 27 casualties, forcing the Zulu army to withdraw. Eleven Victoria Crosses were awarded for bravery shown on that night, the largest number for any one engagement in history. But as Adrian Greavess new research shows there are several things about the myth of Rorke's Drift that don¿t add up. 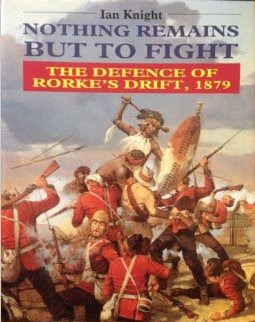 While it was the scene of undoubted bravery, it was also the scene of some astonishing cases of cowardice, and there is increasing evidence to suggest that the legend of Rorke's Drift was created to divert attention from the appalling British mistakes which caused the earlier defeat at Isandlwana. Of all the many colonial campaigns of the Victorian era, few have gripped the imagination more than the Zulu War of 1879. Its dramatic events and the high courage displayed by men of both sides have provided the material for books, articles and paintings, while in recent times its more remarkable incidents have featured in television programmes and films. Among military and colonial history enthusiasts its fascination has few equals. Even though a century has passed, there can be few who are not aware of the annihilation of a British column at Isandhlwana by the great Zulu military machine, the heroic defence of Rorke's Drift by its tiny garrison, or the tragic death of the Prince Imperial of France. Underlying these and the other actions was the astonishing resistance of a warrior nation armed chiefly with spears and shields, of whom Disraeli said They defeat our generals; they convert our Bishops and put an end to a great European dynasty. This book depicts the scenes and protagonists of the Zulu War exactly as they appeared to those who took part a hundred years ago. 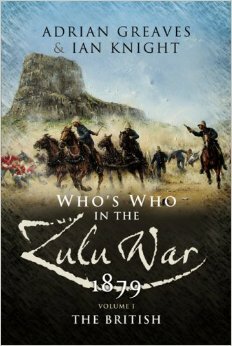 Michael Barthorp, a distinguished military historian and former Regular Army Officer, in an exhaustive study of the Zulu War, has researched over 150 photographs and contemporary illustrations from museums and private collections, both in England and South Africa; many have never been published before. These are complemented by a text which explains the background and causes of the war, the opposing forces and plans, and the course of the campaign, from its disastrous beginning until the final overthrow of the most feared tribe in Africa. 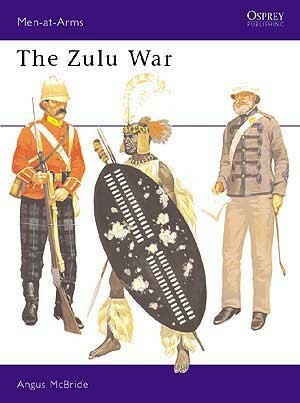 There was perhaps no more dramatic colonial war than that against the Zulu in 1879. 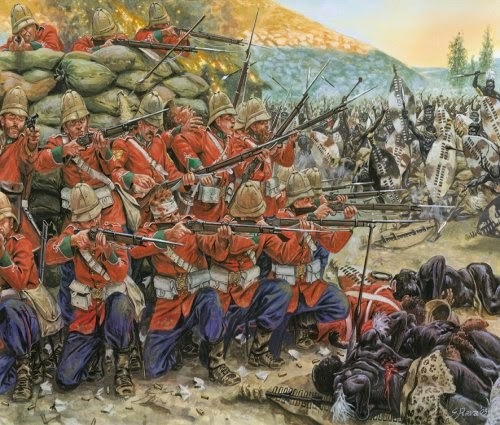 The confrontation of assegai and breech loader resulted in tragedy at Isandhlwana when the 24th Foot were among those wiped out by the superbly disciplined and determined Zulu impis, and glory when eleven VCs were won at Rorke's Drift. After an admirable introduction to the events of the war Christopher Wilkinson Latham analyses in great detail the uniforms and weapons of the British Army and then goes on to cover the Colonial forces, many of whom rejoiced in what are to us such nostalgic names Bakers Horse, Dunn's Scouts, Eckersleys Contingent or the Kaifararian Vanguard. 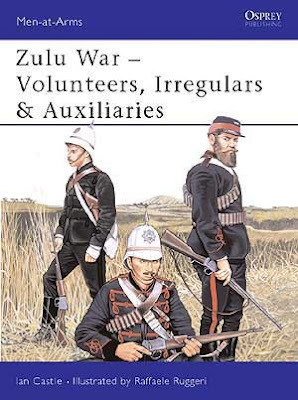 Finally, and perhaps most importantly, Mr Wilkinson Latham has compiled a comprehensive listing of the regiments which comprised the Zulu impis and gives, for the first time, a description of each of the 34 regiments uniforms. 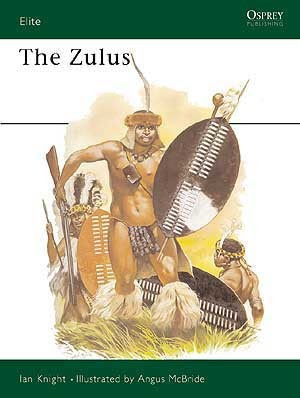 In addition there is much fascinating information on the numerical strength, average ages, structure and training, tactics and strategic thinking of the Zulu armies. Throughout, the book is lavishly illustrated with 64 contemporary photographs, etchings and paintings, many of which are reproduced for the first time. There are also four colour plates. Historians are seldom so fortunate as to be afforded the opportunity to revisit entirely a work they wrote twenty years before. Paul Thompson and I first published our Field Guide to the war in Zululand in 1979, and since then it has been reprinted three times with corrections and revisions. However, the relatively minor revisions we made then (the last time was in 1987) do not adequately reflect the enormous strides that have been taken in Anglo Zulu War studies over the past two decades by the many scholars now working in the Held. Today we know so much more about the war than we did in 1979, especially about the Zulu side. We are consequently extremely grateful to Mr Glenn Cowley, the Publisher at the University of Natal Press, for inviting us to bring out the new Illustrated Guide to the Anglo-Zulu War. That commission has allowed me to rewrite and expand upon the entire text of the last edition of the Field Guide (now out of print), to incorporate new illustrative material and, in consultation with Paul Thompson, to generate new maps that reflect our changed understanding of battles and operations. Forty nine of the diagrams of fortifications from the original book have been retained. Six have been eliminated since the remains they portrayed have (upon further reflection) proved too doubtful. Human intervention is not being kind to the remaining vestiges of the fortifications, and they are suffering a dynamic process of damage and outright destruction. Therefore, we thought that in this new book in the interests of preserving a record we should present diagrams of all those forts we positively identified and charted twenty years ago, even though they might imminently no longer be in existence, or already have been obliterated. Battlefields, too, are constantly changing as they are encroached upon by human habitations and roads, and as they receive the benefits of interpretation centres and other laudable attempts to explain and preserve them. These interventions mean that the environs of no battlefield will remain static, so we have chosen in this new book to present the terrain only at the time of the war and not as we did previously to show current features. To the eight battles previously portrayed we have added four minor engagements since we believe they illustrate other important aspects of the conflict. The use of full colour is intended to make troop movements on the maps easier to follow However, the reader should be reminded that nothing is more provisional (when not conjectural) than the portrayal of a battle on a map, for the evidence upon which it is based is unavoidably incomplete, confused and partisan if not self-exculpatory will Consequently, the battle maps reflect only my present interpretation of the sources. Currently, there is heated debate among Anglo Zulu War experts centred on the battle of Hlobane, and the protagonists will recognise whose interpretation I have essentially adopted. The battle of Isandlwana remains even more problematical. Paul Thompson and I have reconsidered the sources, walked the battlefield once more and consulted widely with other specialists. In the end, we have adopted my understanding of Zulu movements and the British rout while British dispositions reflect more closely Paul Thompson's conclusions, which have been shaped by his pioneering research into the Natal Native Contingent. 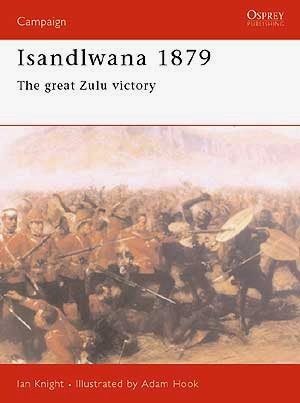 Some readers consequently note that our depictions of Isandlwana deviate in some measure from the consensus that has been solidifying in recent years. Naturally, our views will be tested in debate with other historians, and the outcome will, we trust, be reflected in future articles and books on the subject.